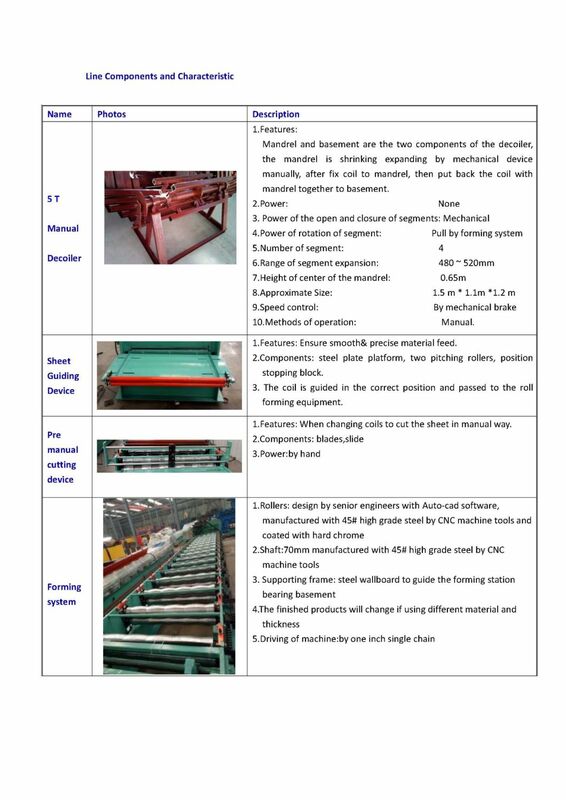 Profile sheet forming machine is designed to product iron roog sheet.It is composed of 5tons Manual Decoiler,material feeding device,main roll forming,and automatic cutting.It is formed from prepainted galvanuzed coil,color coated gavalume etc. 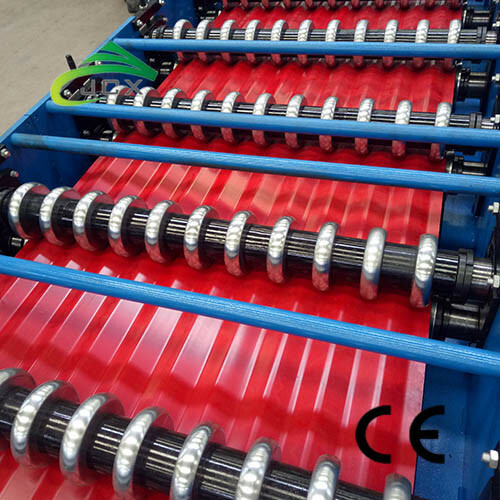 The final product can be cut as per set length controller,and the length is automatically measured by encoder.When final product reached set length,machine will stop to cut the sheet automatically.Finish this action,the machine will run again continuously.No need much labor. 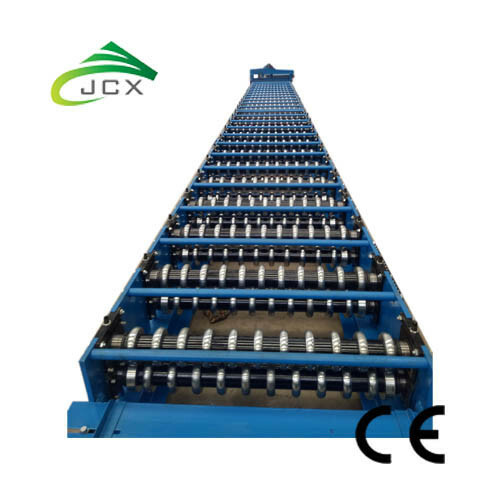 If the plate with a coating,the coating should be consistent with coating inspection standards of the relevant color-coated,should not have skin off,so as not to effect quality of roll forming. 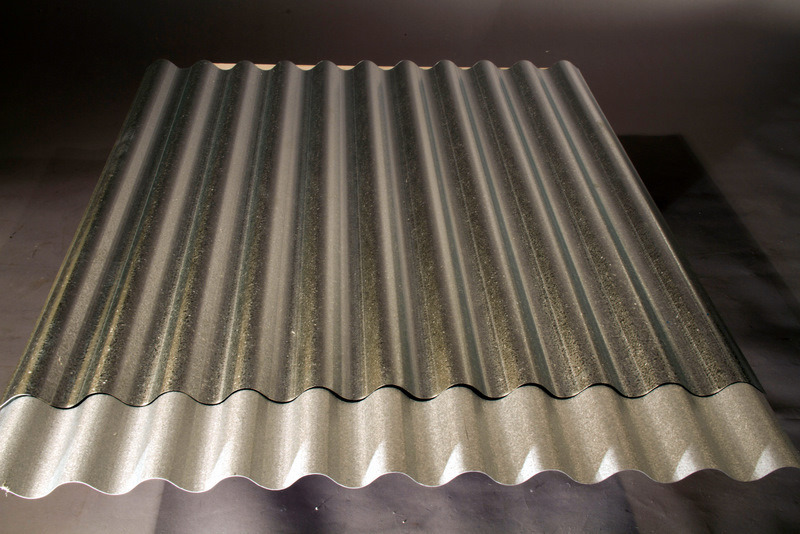 If the material is galvanized steel,the galvanized should be consistent with the relevant testing standards of the galvanized steel,should not have zinc layer off,so as not to effect the quality of roll forming. 4	 Control System	 DELTA PLC& transducer, low voltage:SIEMENS. 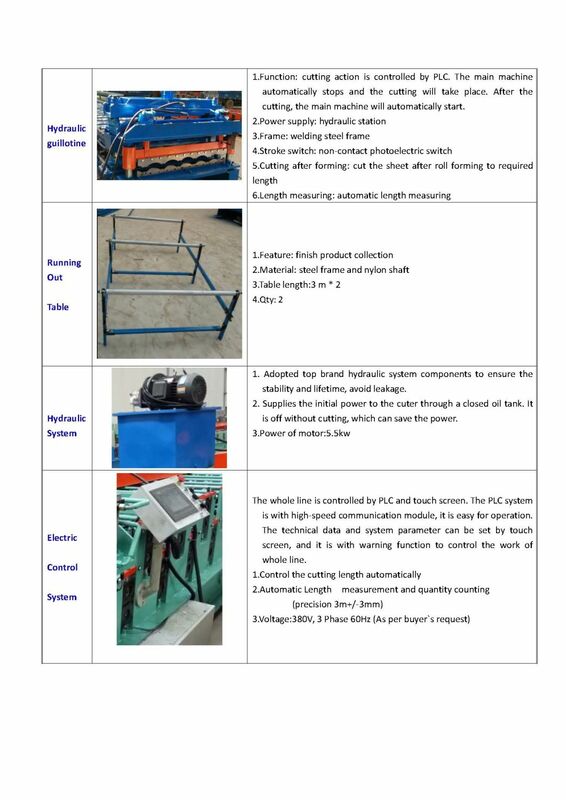 Looking for ideal Roof Profile Sheet Machine Manufacturer & supplier ? We have a wide selection at great prices to help you get creative. 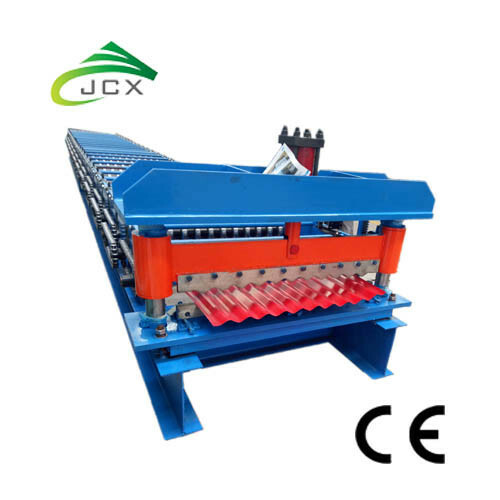 All the Profile Sheet Roll Forming Machine are quality guaranteed. 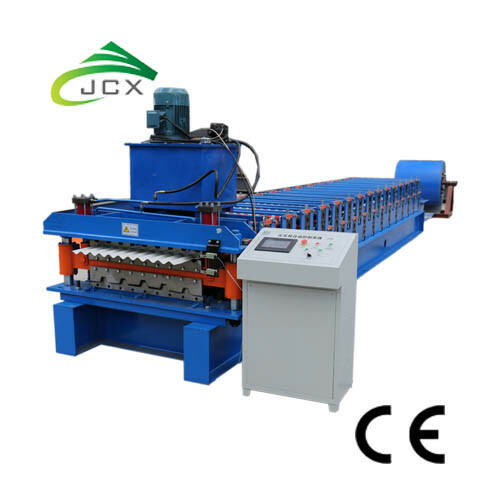 We are China Origin Factory of Corrugated Profile Sheet Forming Machine. If you have any question, please feel free to contact us.